Peter Armstrong, 82, uses a trust to pay for the services of an elder companion. Hundreds of disabled seniors in Massachusetts may soon face a daunting choice if they want services under the state’s Medicaid program: Ditch the trusts they set up to pay for extras, such as dental work and a home health aide, or risk losing public benefits. MassHealth, the state’s Medicaid health insurance program for nearly 2 million low-income and disabled residents, is considering changes in eligibility requirements that would make it harder for residents older than 65 to establish special-needs trust accounts and still qualify for nursing home care and other health services from state and federal government agencies. Massachusetts officials say the proposed changes are aimed at ensuring the state’s Medicaid rules comply with 2008 federal Medicaid guidelines, and lessen the strain on the $15 billion MassHealth budget. The revisions under consideration would require disabled seniors to spend down their personal financial resources — including held money in a trust — before tapping into MassHealth. But advocates for disabled seniors argue the changes would deny some residents small comforts that improve their quality of life and could cost the state more money by forcing those living independently into more expensive nursing home care financed by taxpayers. The organization manages trusts for about 900 people with special needs, mostly in Massachusetts. In 2015, about 85 percent of those who opened trust accounts were 65 or older, Tames said. The average account balance is $60,000 — usually proceeds from the sale of a house or money received through an inheritance, Tames said. Individuals must get approval from the Plan of Massachusetts and Rhode Island to spend money, and they are required to submit bills for various expenses, including for dental work not covered under Medicaid, health aides, clothing, and utilities, Tames said. Christopher Armstrong, 81, said that a decade ago he helped set up a trust for his 82-year-old brother Peter, who is partially paralyzed, funding it with money from the sale of his brother’s Springfield condominium. Over the years, he said, the $50,000 trust has helped pay for dental care and clothes, as well as for an elder companion to visit Peter at a nursing home once a week to take him to lunch at Friendly’s or Olive Garden — expenses not allowed under MassHealth. 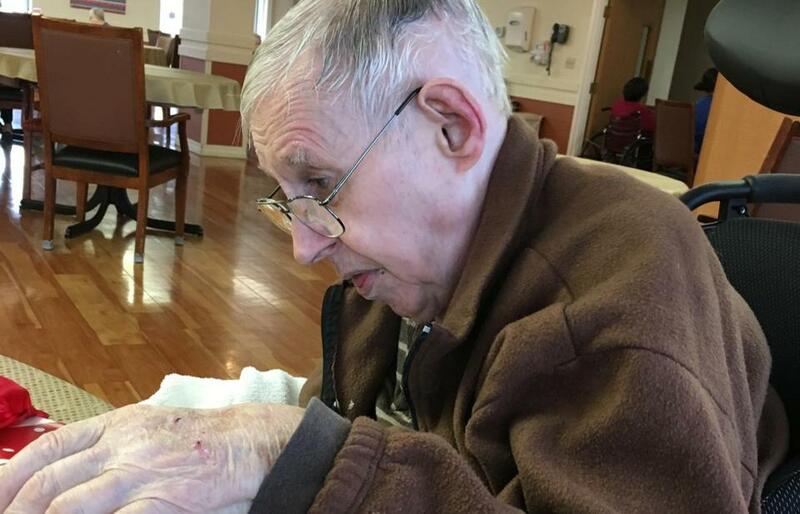 As he has gotten older, Armstrong said, he hasn’t been able to make the trip from his Newburyport house to visit his brother in a Chicopee nursing home as often, so he relies on elder-companion visits. “It provides [Peter] one bit of entertainment outside the walls of the nursing home,” Armstrong said. If his brother had been forced to use up the profits from his condo to pay for his nursing home care before becoming eligible for Medicaid, Armstrong noted, he would have burned through the money in a matter of months. Last year, the median annual cost for a shared room at a nursing home facility in Massachusetts was nearly $135,000, according to an annual survey conducted by Richmond-based Genworth Financial Inc. Trusts have long been a way for disabled seniors and their families to plan for long-term care, especially if they have complex needs and don’t have children to shoulder some of the expenses, said Susan H. Levin, who cochairs the public policy committee for the Massachusetts chapter of the National Academy of Elder Law Attorneys. To qualify for MassHealth, which is funded by both the state and federal governments, individual assets such as bank accounts can’t exceed $2,000, and monthly income is limited to $100. Trust money had traditionally been exempt from those calculations. But in 2008, the federal Centers for Medicare & Medicaid Services clarified the rules, telling states that, in general, disabled individuals over 65 couldn’t transfer money into a pooled trust without a penalty. Essentially, that meant they couldn’t go on Medicaid until they had used up their assets. But officials say other factors also determine Medicaid eligibility, including how much money is in a trust and why it was deposited. “Pooled trusts and transfers are complicated issues, and such transfers do not automatically make someone ineligible for Medicaid,” said Helen Mulligan, a spokeswoman for the Centers for Medicare & Medicaid Services. Massachusetts health officials in December held a hearing on the proposed changes. Torgerson said they are considering comments from the public before deciding.